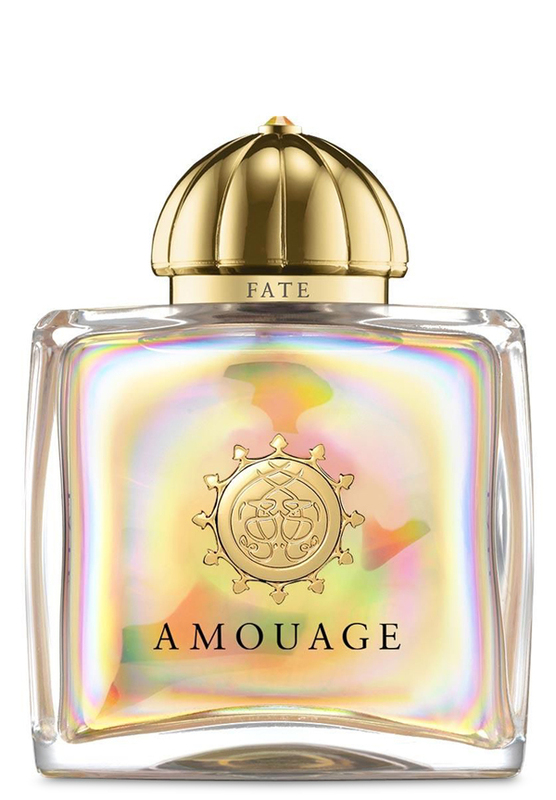 Amouage say "Fate for Woman is a chypre oriental with a rich floral heart intensified by a dark and destructive accord resonating with the tumultuous unknown." There are 14 reviews of Fate Woman. Sampled after reading the five star review in the latest edition of the Guide. I can see the similarity of old style Guerlain in the opening of bergamot and I think the hint of pepper gives a even more classic oriental feeling. It's loud from start to finish. As it develops you can identify different notes more or less strongly, but all in all it is a smooth, luxurious and heavy affair. Standing out are the bergamot, leather, benzoin vanilla and pepper with the bergamot fading fast. I'll sample this more and consider buying a bottle before it is muted down in reformulations. Can still wear it to some dinners though, just maybe use in moderation and try to wear it close to the skin if possible. An excellent oriental style perfume. If Shalimar and Bakir had a baby, this could be her. It begins with a burst of incense, benzoin, and pepper. Sadly I get no cinnamon but, that's my dysfunctional nose. Here you'll find delicate narcissus. Smooth vanilla. Faint labdanum, castoreum, and leather - they are here. They just don't scream at you. I smell a light rose, then, rich patchouli and jasmine. Many hours later I get a hint of moss on my skin. This is well done. Longevity is about 8 hours in high heat, surprisingly. Quite lovely overall and worth the price. This is a complex perfume, sweet, perhaps from the benzoin, with notes such as the listed frankincense, cinnamon, and chili pepper adding character. The frankincense is light - just barely peeking through. It has a powdery aspect, which could be a natural floral smell, and it has a warm, delicious leathery aspect. I'm getting a sweet cola smell. I like this. It's nicely agreeable, and complex enough to be something I'm excited to wear. This is one of the few Amouage perfumes that open with a citrus or bergamont note. Like most fragrances from the House, it's strong and intense. It contains florals, incense leather and oakmoss. It's truly unique! You really know you're wearing this perfume. I get 6 plus hours. I have the 12 x 2ml samples (in gorgeous presentation) of most of the 'Woman' line (I love 8 out of 12) and bought a full bottle followed by Lyric. Love the intensity of all Amouage. There is value for money as it doesn't need to be reapplied like SO MANY perfumes today. Fate is the time when anything can happen,opening up the imaginary,an infinite world of possibilities between reality and fantasy.it combines the vivid, spice-tinged floral element of narcissus with the benzoin zest and the essence of cinnamon.not too oriental and not too flowery.vintage floral feel and glamorously animalic,rich dry down.everyone who likes different perfume should smell Fate.Sumptuous, Elegant,Voluptuous,Warm,Smoky,Mysterious,Opulent and Alluring. The whole counter-pointed by a medley of fresh citrus-spice where bergamot mingle with cinnamon and pepper before revealing a voluptuous bouquet of jasmine, narcissus and labdanum with touches of rose that later reveals an animalic swirl of castoreum and a hint of leather while incense notes add smokiness to the exuberant blend.it is something you are not bothered about.you flaunt your love&passion with unabashed glee&spread cheer with this romantic yet sensual aroma.the best seasons for this is autumn/winter. 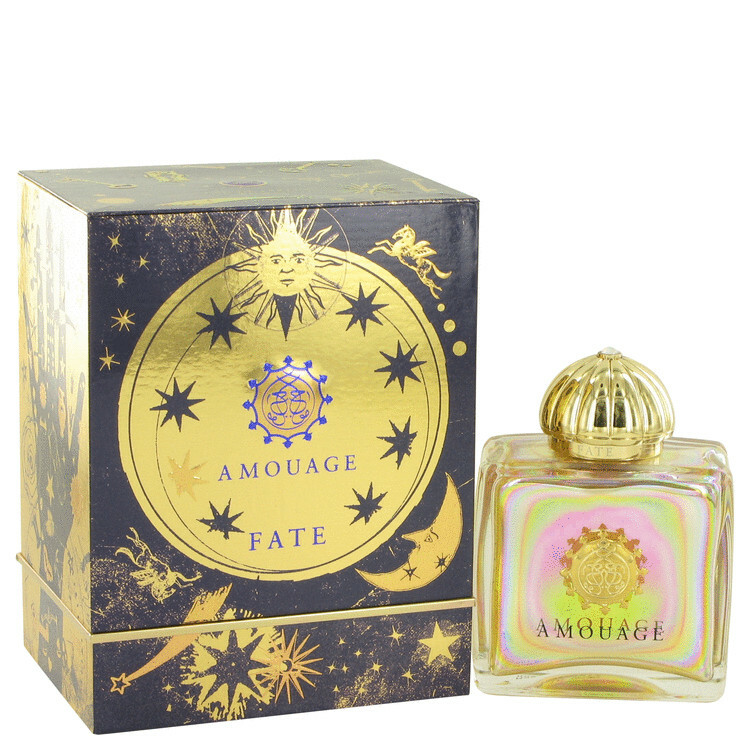 After a great passion for Amouage I'm sorry now to say that I can't really like Fate for women. It smells cheap. I read the story behind the scent and was interested to sniff the fragrance. What a disappointment. Amouage woman all samples 2ml(0.07fl.oz), buy 5 get 1 for free, all samples new! There are no member images of Fate Woman yet. Why not be the first?